Select the package that works for your lifestyle. 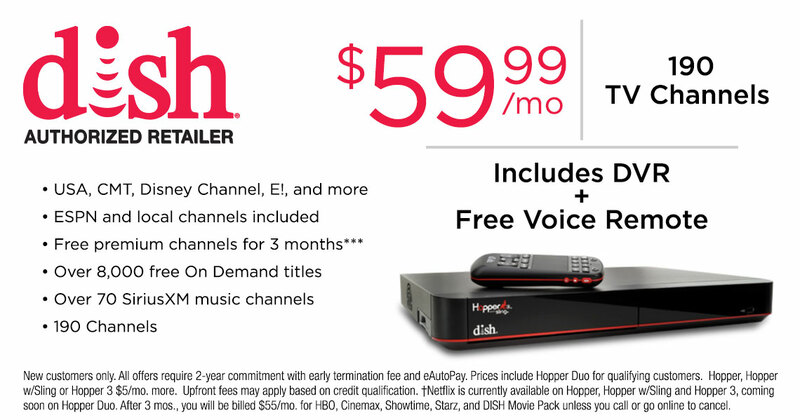 If you’re always on the go, you’ll appreciate the digital video recorder (DVR) packages as well as DISH Network’s industry-leading 1080p video on demand (VOD) programming. Never miss a show.